Of all the Civil War related films and TV series that I have watched, this is without doubt the best of the lot, and that is despite the fact that there are very few battles taking place on screen. At the root of the film is the relationship between Oliver Cromwell (Tim Roth) and Thomas Fairfax (Dougray Scott); and of course how they deal with Charles (Rupert Everett). The film was beset with financial woes, and it is surprising that the film was finished at all, let alone released. It's original title was Cromwell and Fairfax, but it seems they couldn't even afford that. 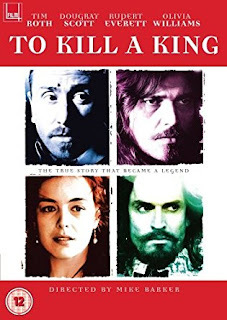 Later editions of the DVD use the title "To Kill A King: Cromwell and Fairfax". Moody and evocative, this really is a very good film.